The Himalayas of Nepal can be trekked with the family and smaller kids. 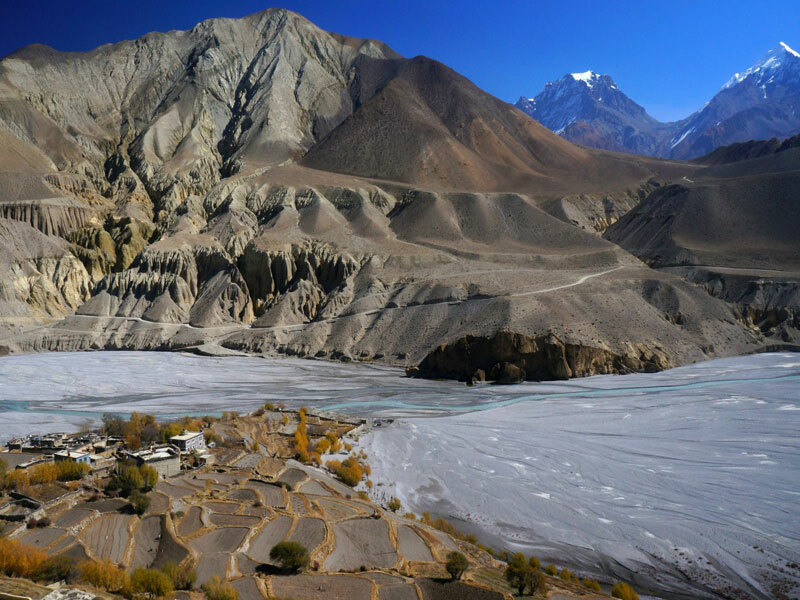 This ‘Family Trip to Upper Mustang’ is moderately customized to meet the need and expectation of the family. Within ten days, the family can experience the thrill and joy of exploring the ancient villages, amazing landscape, interesting cultures and breathtaking scenery. Let also the little ones enjoy the Himalaya adventure in Nepal. Day 10:Extra Day for contingencies like foul weather, strikes, flight cancellation etc. Bar bills/cold drinks/laundry bills/ telephone bills/ etc. Any extra expenses due to unforeseen circumstances like weather calamities, flight cancelation, strikes etc.